With over 20 years of construction experience our highly trained craftsmen will totally transform any area, any size quickly and efficiently with stunning results. All materials employed for the construction such as the concrete , colour hardeners and sealants are designed to the highest quality to ensure your new paving system is not only attractive but extremely strong and durable. 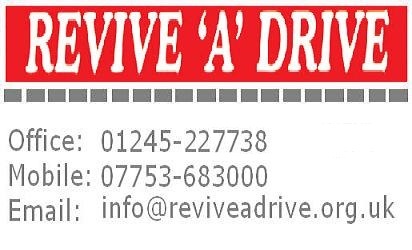 Revive A Drive Paving Systems comprise high strength reinforced concrete for its patterned imprinted concrete which is subsequently coloured and imprinted with special moulds that contain the 3 dimensional paving effects. Once the surface is hardened it is sealed for protection. The whole process can be carried out in just a few days and your new installation will add beauty and value to your home for many years to come. 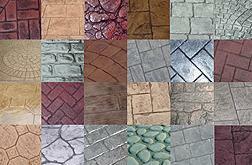 It is ideal for driveways, patios, paths, pool surrounds and parking areas that need little or no maintenance. Our paving refurbishment & maintenance system can be anything from high pressure jet washing of existing block paving or reviving pattern imprinted concrete and tarmac surfaces. Once cleaned a new coating of acrylic sealant will enhance the colour and protect against staining and weathering. Badly faded paving can have the colour revitalised with our specialist bonded colour tint process.